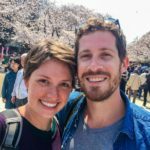 In September 2018, Jackson and I got onto a big bus, visited several Seneca Lake vineyards, tried a ton of different wines, and schmoozed our faces off. 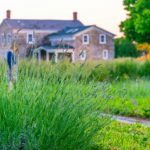 It was the first Seneca wine trail we’d ever done and – my god – was it a lot of fun. We’ve gone vineyard touring in South Africa and New Zealand, but we’d never been to the Seneca wine trail in upstate New York before. Hell, prior to coming up to Corning, New York for a travel conference, I didn’t even know there were any Seneca lake vineyards! This is another great experience around a lake in upstate New York. Lake George, which is on the other side of New York State is another area I really enjoy. Seneca Lake, although completely different, is awesome. I’m a city kid, and prior to my dad opening a lavender farm near Lake George, I’d never had reason to come upstate. Now, I have a much different story to tell. This place is great! Enjoying a glass of Riesling, a very popular white wine made in this area. TBEX, which is a massive travel conference for travel bloggers to come to meet n’ greet, was held in Corning, NY this year (lucky us!). 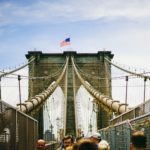 Seeing this as our first opportunity to take the blog a step further, we decided “why the hell not?” and drove the 5 hours up to the Finger Lakes. 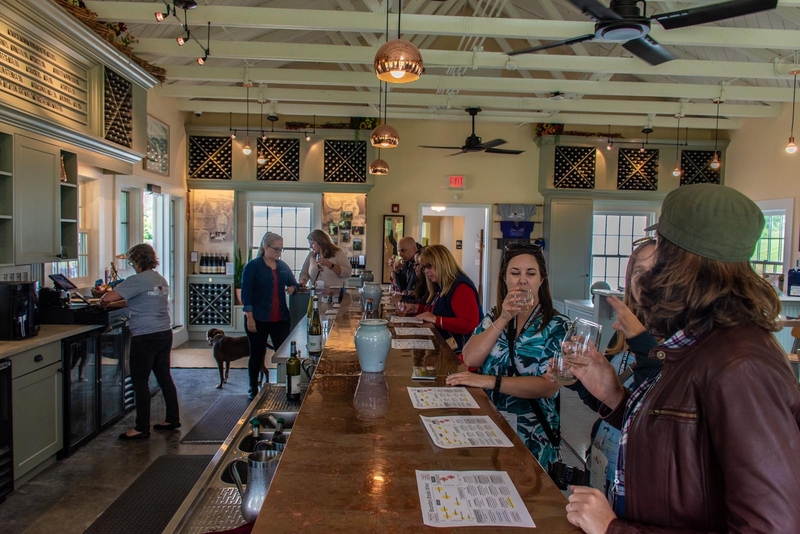 Because of the conference, we were allowed to take part in a number of activities around the area, and one of the options was this humdinger: a chance to get in a chartered bus and have a curated tour of the Seneca Lake wine trail. The non-profit organization called “The Seneca Lake Wine Trail” was founded in 1986, and created to represent the vineyards in the area. They are all incredibly supportive of each other and one really gets the sense that everyone is part of a bigger family. 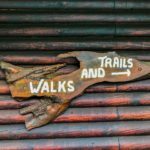 There are over 30 Seneca Lake vineyards that are members of this trail. 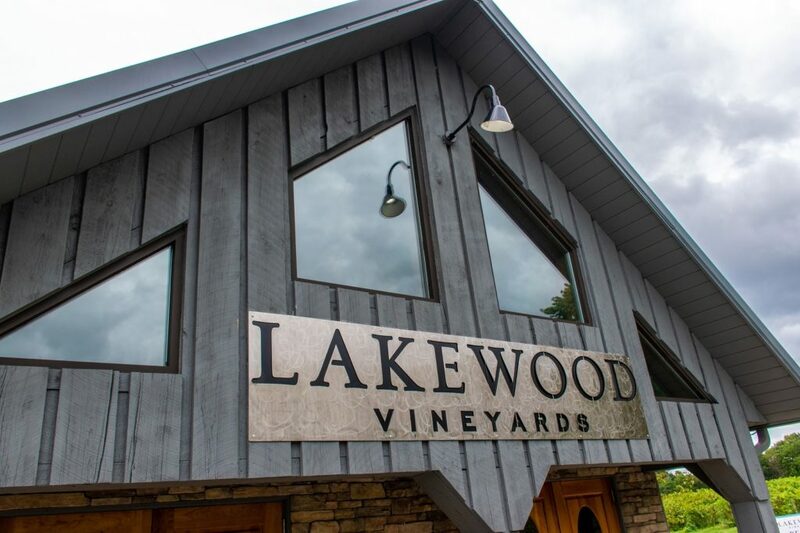 For a map of the vineyards around the lake, you can check out the organization’s website here, which will have FAQs, and more history of the area. 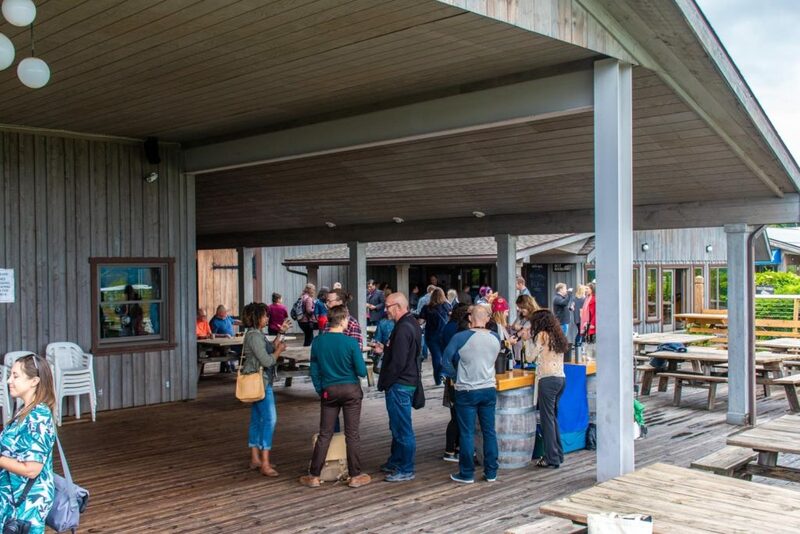 Wineries are open year-round and will provide events throughout all seasons. While we were up there, one of the staff members at Wagner Vineyards told me that there is live music, brewery tours and events even in the dead of winter. The peak season for this area is early summer to late October. 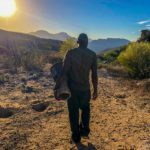 (I’ve written more about the best times to go at the bottom of this post!). 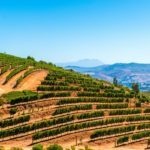 I’m going to list the 3 vineyards we visited and the 10 (!!) different Seneca Lake vineyards we got the chance to sample, and which were our favorites. Check out Boundary Breaks’ sweet sitting spots. Seneca Lake was glacially dug for thousands of years, and it’s hella’ deep (632 ft. deep!!) – making it the deepest of the finger lakes (3x deeper than Lake Erie!). Being so deep, the Lake never actually freezes through and that holds on to some residual heat that warms the region. Cool, huh? 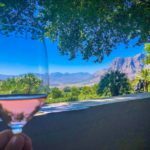 Because the region is a little warmer, it means the vineyards can produce “finicky” grapes like Riesling and reds like Merlot, Cab-Franc and Cab-Sauv. The grapes are grown on slopes that face the water because that’s where it’s warmest in the Seneca wine trail region. This also means that the growing season is a little longer because it’s that much warmer over there. We started on the right side of the Lake when we went on our Seneca wine trail tour. We were told that the right winds up getting more sunlight than the left and that makes another micro climate in this region. There are 19 waterfalls that still cascade down into the Lake. Hector Falls is the tallest at 165 ft. It’s a real road side attraction. Shale and Limestone make up a lot of the geological makeup of this area. A lot of those minerals wind up in the water and flavors the wines. Wagner’s Vineyard was very beautiful. They had a massive patio for wine sampling, a brewery to tour, and they offered homemade root beer (which was very good!). 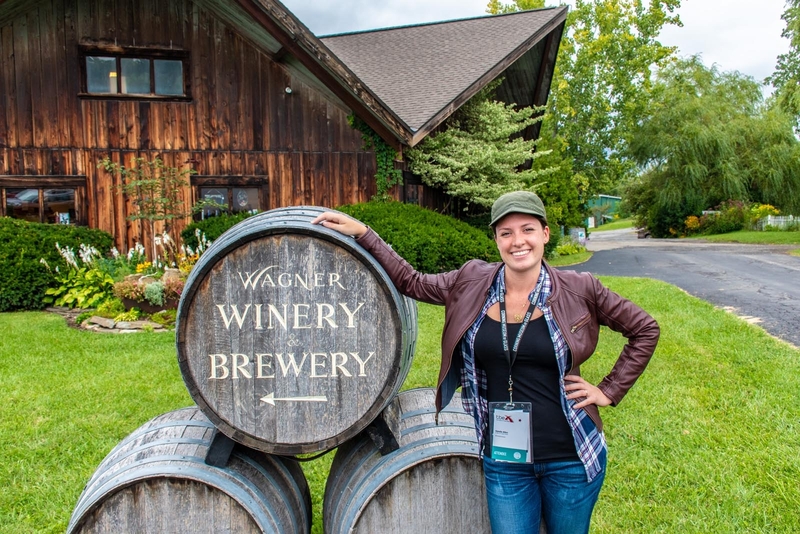 Started in 1979, Wagner was one of the first Seneca Lake vineyards in the region. Now, there are many of them. Wagner doesn’t just make wine. They have a brewery that produces very good beer (really enjoyed their I.P.A). We tried their Rieslings: Semi-dry and regular. We also sampled a Merlot. Thoughts on the wine: I found their Semi-Dry Riesling to be the best of the bunch. The Riesling grapes do better in this chillier region and create very sweet wine. I’m not a huge fan of the sweet stuff, so I’m more likely to lean toward a semi-dry. We ate at the Ginny Lee Cafe for lunch which had a nice selection of drinks to choose from (what? More wine!?) and offered a pretty decent alfredo sauce, if I do say so myself. We tried their Cab-Franc 2015, Semi-Dry Riesling, and Chardonnay. Thoughts on the wine: Of the three I sampled, my favorite was the Semi-Dry Riesling. To be honest, I found the red wines from the region to be really lack-luster. 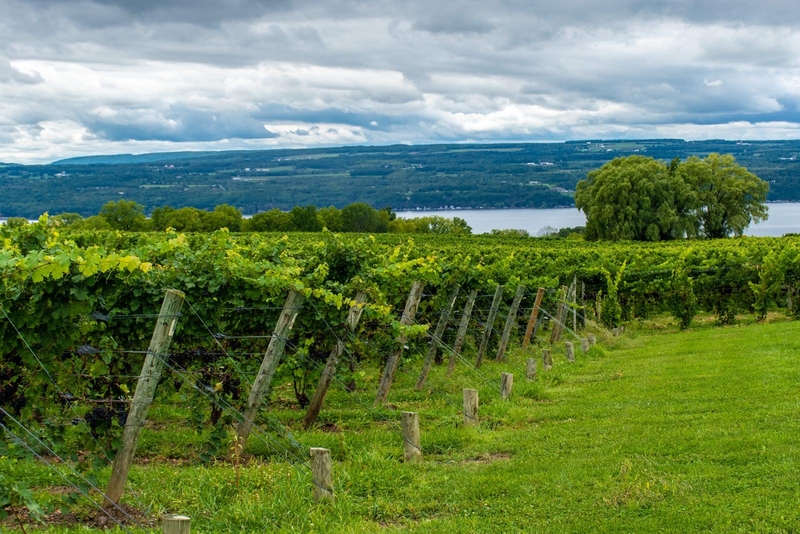 This vineyard is famous among the Seneca Lake vineyards because it sells the most popular wine in New York State: the Red Cat Wine. It tasted like alcoholic grape juice. Maybe that’s something you’re into? I don’t know. I hate sweet wines, so I am not a good person to ask about this. We also tried their Riesling, Cab-Franc and Sherry. Thoughts on the wine: The Riesling was “meh” and I didn’t like the Cab-Franc. The Sherry, however, was delightful. For god’s sake don’t drink that Red Cat Wine. Another lovely vineyard, these guys sported a really fancy tasting room with copper counter tops and a really smart-looking, clean design on the inside. I was impressed. At the tasting table, they had a lovely chart to walk the taster through the different palates and flavors. Maybe that’s the reason I liked these guys the best? I tried a bunch of different wines: #239 Dry Riesling (the Wall Street Journal raved about this one! ), Gewurztraminer, #356 Bubbly Dry, Reserve Riesling, Riesling Ice Wine, and Cab-Franc. Thoughts on the wine: That #239 Dry Riesling, though? Damn that was good. Best wine of the day. I was not a fan of the red. Set up at a table at Boundary Breaks, J.R. Dill was featuring their: Cab-Franc/ Cab-Sauv blend, Cab-Franc Rose, Blanc de Blanc sparkling white, and Sauvignon Blanc. Thoughts on the wine: I liked the rose which had a nice dryness to it. Not impressed by the reds. That Blanc de Blanc bubbly would be a yummy one on a hot day. As stated on their website, this winery among Seneca Lake vineyards is named for 3 brothers (although not all three own the vineyard!). It was delightful to get a tasting of their wine from a woman who walked us through her process and then proceeded to keep refilling our cups. We tried their Riesling and “Jazz” infusion estate red blend . Thoughts on the wine: Not a fan of the red. The Riesling was very drinkable. Set up with a lovely patio overlooking the valley, Lakewood was a very modern, clean-looking estate. 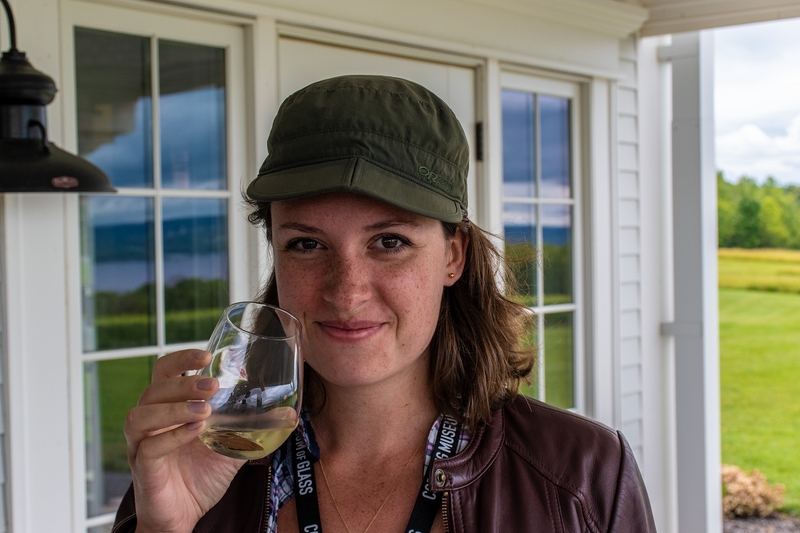 Thoughts on the wine: I was so happy to try a port while up in the Seneca Lake vineyards! I love port and this was a delightful little splash of red, juicy goodness. We tried their Semi-Dry Riesling, Chardonnay, Arctic Fox. Thoughts on the wine: The arctic fox is a very sweet wine made from frozen grapes (ice-wine) and I found it way too much for me. Perhaps a good dessert wine, if you’d rather something other than port. The Semi-Dry Riesling was a bit too sweet for me as well and I wasn’t a fan of the Chardonnay. These guys were toting a very special wine (the matinee) made from himrod grapes, a white grape that is very sweet. They were also sharing the juice from the himrod which was delightful, I loved how light and crisp it was without being cloyingly sweet! We tried their Matinee white and himrod grape juice. Thoughts on the wine: That himrod grape juice was awesome! The matinee white was too sweet for me (seemed to be the theme of the afternoon, to be honest!). We tried their sparkling white and chardonnay. Thoughts on the wine: I thought the chardonnay to be a bit too sweet for my taste. The sparkling white was nice and crisp, however. Had a nice finish. I loved their tasting room, the grounds, the seating area, and the semi-dry Riesling. All of it was delightful and I would absolutely go back again to try more. Overall, I thought the wines were refreshing when served chilled. I didn’t like the reds I tried, but there were a couple very delicious bubbly whites. Special shout-out to that Sherry at Hazlitt 1852, port at Lakewood and root beer at Wagner’s. Yummy! I universally disliked the ice-wines; too sweet and syrupy. I think the best time of year would be in high summer or at peak foliage season (early October). When we were there in September, the trees were just turning color and the air had a crispness to it. The vineyards were starting to harvest their crop so the grapes were juicy, sweet and fat on the vine. In early September we were told there was a lull in the amount of people on the Seneca wine trail because everyone was starting school and it is before peak foliage. A short off-season before the real droves come. 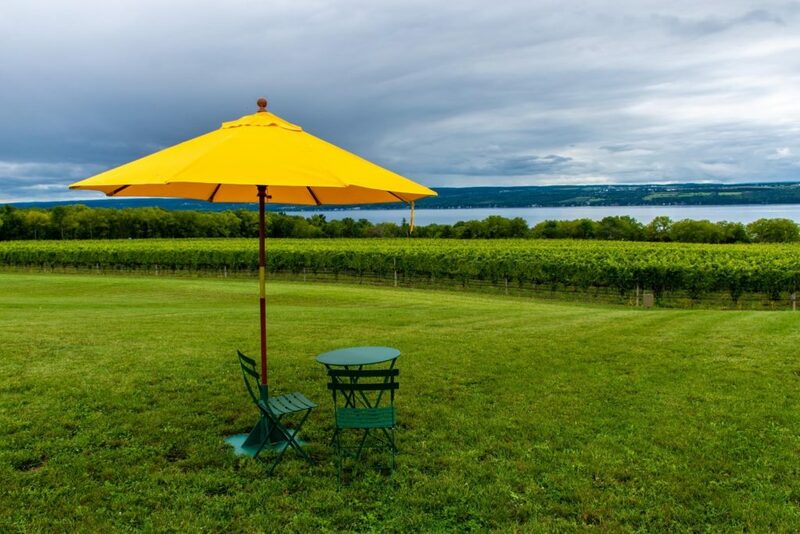 In October, this area turns all shades of colors and I can only imagine sipping on a locally produced wine while sitting under a canopy and enjoying the spectacular view of Seneca Lake. I’d come back in October to enjoy that. In Summer, the cold Rieslings and bubbly whites would go so well with a summer dress on a hot day. There are so many lovely places to sit and relax, I can imagine doing so here very easily. 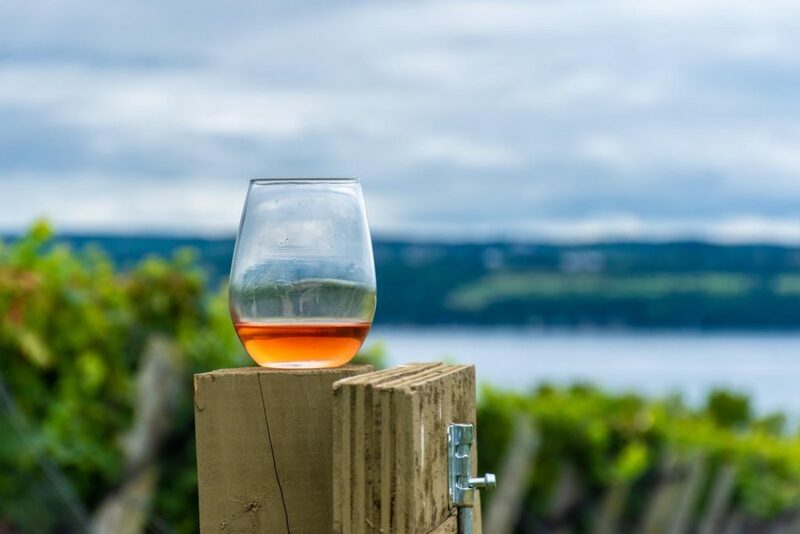 Have you been to the Seneca Lake vineyards? Any thoughts? What did you like best?